I cannot believe May is about to be over. This month went by insanely fast. I also cannot believe it has been 3 weeks since the marathon! It is finally warm here on the West Coast and we have had almost 2 weeks of warmer weather. 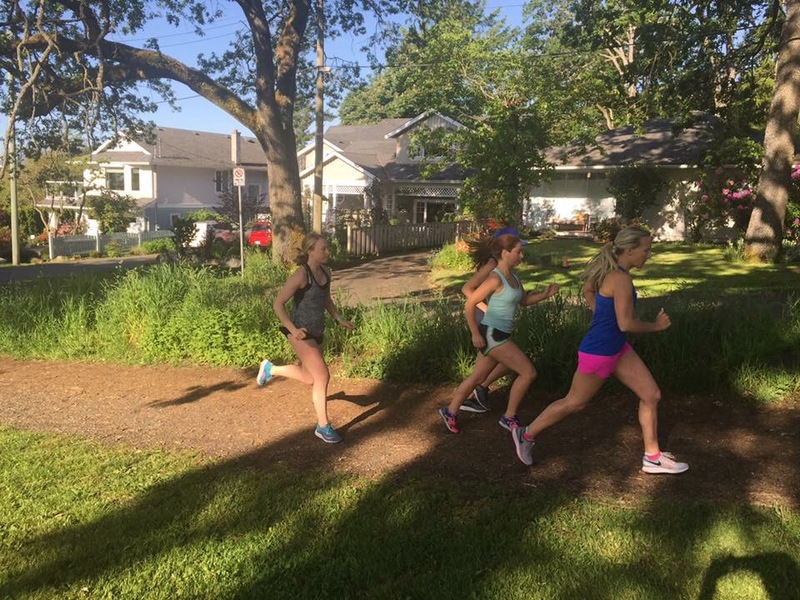 I have a feeling the summer is going to be HOT and that means early, early morning runs! That’s okay with me since I wake up at 5am anyways. 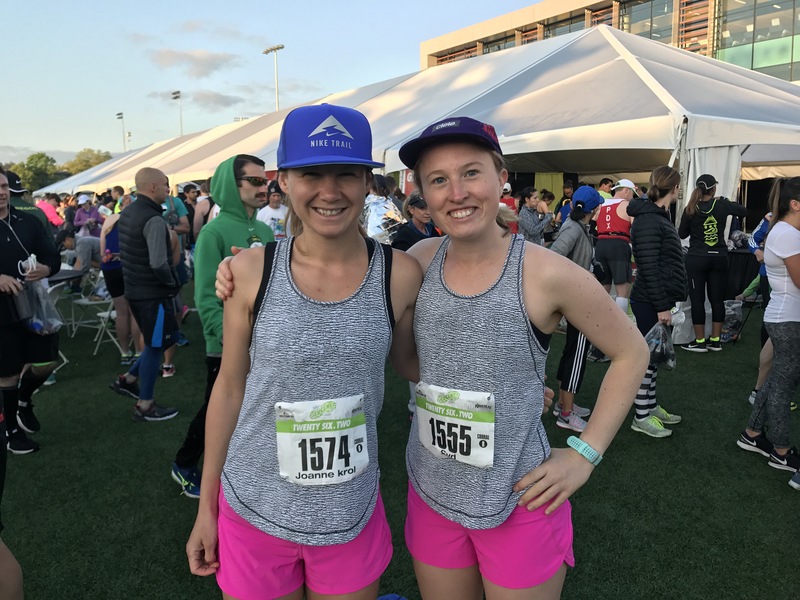 The Seawheeze Half-Marathon on August 12, 2017. The Eastside 10km on September 16, 2017. The Scotiabank Toronto Waterfront Marathon on October 22, 2017. I have about 6 weeks until training starts and I know I should be back to my regular competetive self by then! Until that happens, I’ll continue taking it day by day and enjoying the sunshine and return of my annual Garmin tan. Monday: OFF. I did do 2 NTC workouts: Abs and Arms and Core Crunch 2.0. Tuesday: 45′ easy, I started out running towards the water, but then the bridge was up and no way was I going to stand there waiting for it, so I took a city route home. I am surprised the bridge has never interfered with my route before 🤔. I also did the NTC core strength workout. Wednesday: Group workout, we did our customary 20 mins easy and then 2 sets of: 3 hill repeats and then a tempo to this wooden bridge and back maybe 5 mins long, and then 20 mins easy cool-down. Friday: 30′ easy, ran my regular route without bridge interference. Saturday: Group workout, we went to Cedar Hill (hell), it is a hilly trail route surrounding a golf course. The workout was: 20 mins easy and then 3 x 1 mile, 20 mins easy. It was hard and hot! I also did 2 NTC workouts: core strength + abs and arms. Sunday: 60′ easy, headed out to the trails at Thetis Lake with Jo (mountain goat). It was also friggin hard. That being said, I had already biked about 20km and race marshalled a half-marathon (also very fun, I plan to do it again soon). 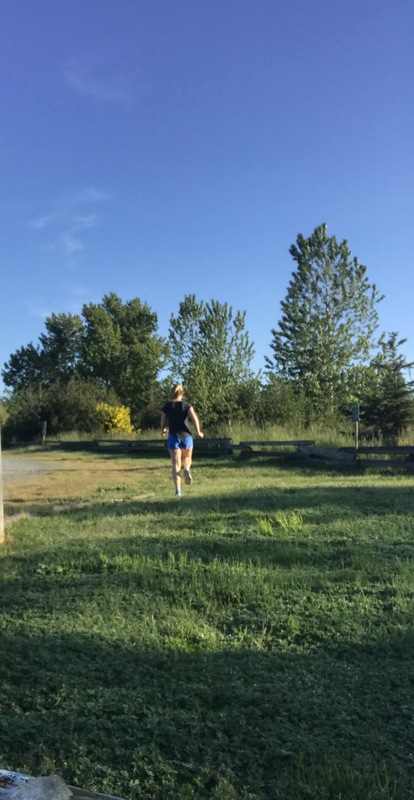 This week I re-introduced running into my schedule after a full 7 days off post-marathon. The volume is still quite low, but I am definitely happy to be back on the road. I have also re-introduced core work and some strength training, time to get back on track with those and make them a regular part of my week again. I am using this training break as an opportunity to use my bike more, since it is nice outside and I enjoy how fast I can get around on a bike! Monday: First run back, 30 mins easy, I felt great, so fresh and fast for a first post-marathon run (5:00/km pace to my surprise). I finished off the day with the NTC core strength workout. Tuesday: That fresh feeling didn’t last long and my 20 minutes easy was much slower than the previous days’ run. I also biked to and from work ’cause the sun was shinning. I did the NTC core strength workout too. Wednesday: Our first group-run back, we ran 30 minutes easy on a hilly trail surrounding Cedar Hill Golf Course. It wasn’t easy, but it was nice to see everyone! I biked to and from this run which served as a good warm-up/cool-down. Thursday: OFF. I did the NTC Abs and Arms workout and the Core Crunch 2.0 workout. Saturday: Our first group-workout back, we went back to Cedar Hill Golf Course and did our regular 20 minute warm-up followed by some hilly repeats in the trails, it was hard and I felt like a slug, but that is okay, it shouldn’t last long, we capped it off with a 10 minute cool-down. I biked to and from this workout too, biking is fun! I also did the NTC core strength workout. Sunday: I had 40 minutes easy with the last 3 minutes at 5:00/km. The majority of the run was about 5:45/km, so I was interested to see how those final 3 minutes would be, and since I wanted to make sure I hit the 5:00/km (as though I was doing a super serious workout) I ended up actually doing a 4:32/km pace, and it felt quite hard. Next time, I’ll stick to the pace 🙂 I also did the NTC Ab Burner 2.0 workout. In other news, I registered for the Toronto Waterfront Marathon which is on Sunday October 22md, so now it’s official, I will be marathon training again soon! I had pretty much decided I was going to do this during the taper before Eugene. Last week they released the medals and the image is of the Leuty Lifeguard stand, which is a symbol of The Beach, the Toronto neighborhood I grew up in. I knew this was the next marathon for me and registered right away. My runs in the week leading up to this race left me feeling more discouraged than they should have. As per my watch (now old watch) I had trouble hitting my paces which were only 1-3km long. It was frustrating and left me questioning how I would perform during the race. If you’ve read any of my other recent posts, you know I was having some watch issues. Maybe it was the taper crazies or maybe I just got fed up, but that week, I bought myself a new watch because I couldn’t wrap my mind around running a marathon with a watch that doesn’t track distance accurately. I went into this race with my primary intention being to qualify for the Boston Marathon. I also thought I would finish in about 3:28, not entirely sure where I got that number from, but for a while during the race I thought it was going to happen. Spoiler alert: I didn’t finish in 3:28, but I did BQ (!). If you just wanted the punchline then that’s that, but if you’re really interested in the nitty gritty details of my experience running my second 42.2 sit back relax and grab a coffee, cause that’s a lot of km to recap. Jo and I wove our way through the start-line, seeding ourselves appropriately between the 3:25 and 3:35 pacer. Then, she took off weaving to the left not wanting our races to impact each other. The anthem finished, and off we went. It was a brisk morning, but the sun was out promising ideal conditions. I told myself not to start out too fast. My average pace for the first 5km was 4:54/km. At km 6 the air filled with a sweet, smoky smell, pot, which caused a few laughs and comments from fellow runners. It was strong! For km 6-10 my pace increased a bit to 4:50/km and that continued from km 11-15 as well. I found myself with the 3:25 pacer for quarter or so of the race. From 16-20 I dropped a bit to 4:56, my stomach began to feel very full of water and bloated. I began to wonder whether I should stop to use a port-o-potty. I have never done this during a race, but during the final few km before the half-way point, I knew I couldn’t wait another 13 miles/21 km. As soon as I crossed the half-way timing mat, I darted into the port-o-potty, only wasting about 30 seconds. The second thing that happened at this point was, I became aware of my legs starting to feel tired. I had expected that to happen a bit later on, but it was more a mental than physical struggle I suppose. Km 22-25 I felt better and averaged 4:55/km. I kept thinking, the race doesn’t start until 30km, and began counting down. The closer I got to the 30km mark, the more I wondered how I would feel when I got there. From 26-30 km I slowed a bit to 4:59/km. I did not enjoy the parts of the course along the river, and there was a lot of time spent there, not only was it monotonous, there was GPS interference and my pace would bounce around sometimes telling me I was running close to 6:00/km (which is hard to see), I knew I wasn’t and was thankful for keeping my KM pace notifications on, but it still annoyed me and brought my morale down a bit. Km 31-35 were pretty brutal my pace plummeted to 5:13/km, it wasn’t fun. At some point in there I began counting down until the end of the race. There weren’t too many runners around nor spectators and I think it really would have helped if there were at this point. I heard heavy steps behind me and a man in an orange t-shirt said, “3:30, let’s go”. I was feeling pretty down at this point and mustered a “yeah”, but let him go on without me. I also knew, I could do a 3:30-31 even with this glacial pace, so long as I didn’t slow beyond 5:20, the perk of being able to do quick math even in that state. I am not sure if this constitutes “giving up” or if I really couldn’t have gone faster (in the moment I definitely would have said I couldn’t go faster). I also think that since my goal was to BQ and I knew I was on pace for that, maybe I didn’t need to try and force myself to run faster that day. Km 36-40 were still pretty slow, 5:11/km but I did end up passing orange shirt in this stretch. In the last 5km I ended up with 2 ladies who had lined up beside me at the start, they were playing music out of a cell-phone and reasoning that they could still hit 3:30, one even suggested they run/walk. No way was I doing that, so I carried on past them alone, as strong as I could. Finally, I was back in town, finished running along the mentally draining river. The crowd support returned, the finish line was quickly approaching, and I started to feel better. After a final boost from EVRC (East Van Run Crew), I rounded the bend for my half-lap of Hayward Field to the finish. Km 41 was 5:15 and 42 was 5:02 and that little “sprint” to the finish line was 4:45/km. Official time 3:31:06. This was only my second ever marathon and my expectations were probably too high. I ran 4 minutes faster than my first marathon, and that is great. I got a BQ (which was my A goal). I ran for 3:31 with no music (and it wasn’t bad). My legs didn’t feel like they were being ripped apart the day/week after, and I recovered so fast. Maybe I started out too fast? The marathon will likely always be a humbling race. As soon as I crossed the line I felt faint, then I got my medal, some photos, my bag of goodies and some water and started to feel better. I had no idea where Jo was since I had not seen here since the start. I later found out we were only a minute apart during the first half of the race and she also had no idea where I was either. That is, until sometime in the last quarter where she saw one of my empty Endurance Tap gels on the ground and deducted that I must have passed that point already. We sat on the fake grass for a bit, put our names on the massage list and headed over to the Ninkasi tent for a hard-earned beer. Sometime in the hour that followed, I started to plan my next marathon. The taper crazies are pretty full blown over here! I have had back-to-back race dreams. The first was a good one, I ran a 2:55 marathon, that’s what dreams are for right? The second one was more of a nightmare, we were driving to the ferry to go to the USA and once we were there I realized I hadn’t packed any of my stuff and couldn’t go. Not cool. This morning I didn’t wake up remembering any dreams, but I did wake up an hour early, unable to go back to sleep (at 4am). There are still 5 more full days until this thing happens. Today I have a small workout, so I’m hoping that will help and then there are 2 more runs before race day. At least the taper still includes some running, otherwise I’m not sure what I’d do! How do you stay sane during a taper?